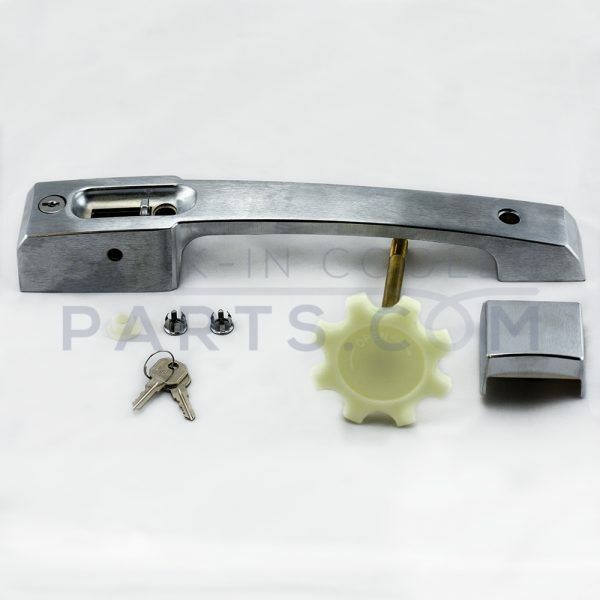 Deadbolt security for walk-ins at the economy of a locking pull handle. 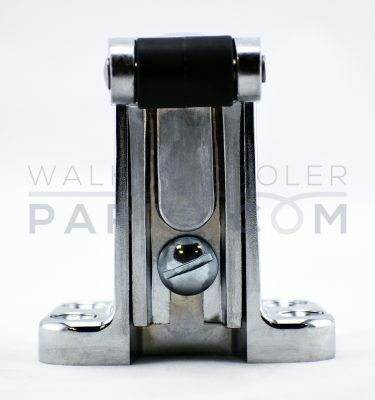 Compare total cost and function of this patented deadbolt latch. 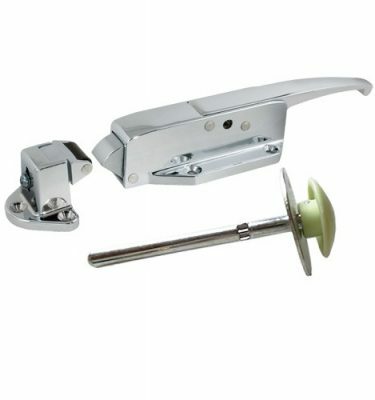 EASY OPERATION AND USE – Finger slide seats and opens deadbolt. Deadbolt can be locked in open position. Unlocked door easily pulls or pushes open. TOP FORM AND FUNCTION – Bold styling complements all popular Kason walk-in hinges. 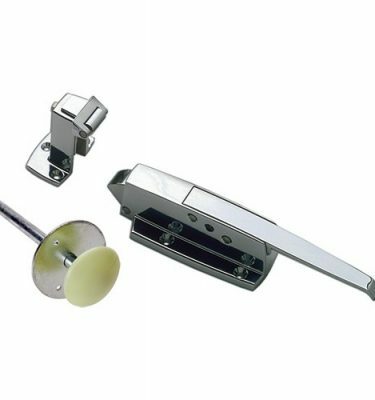 User-friendly design ensures ideal door function when used with Kason hinges. 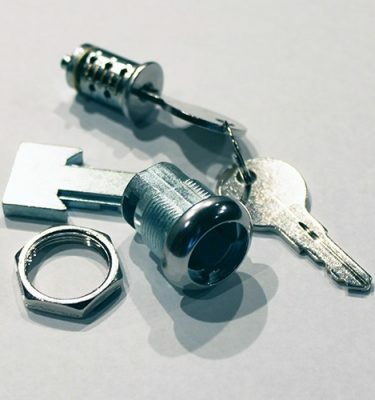 ASSURED SECURITY AND SAFETY – Deadbolt is secured using cylinder lock or padlock, or both. Features tamper-resistant screw hole plugs. 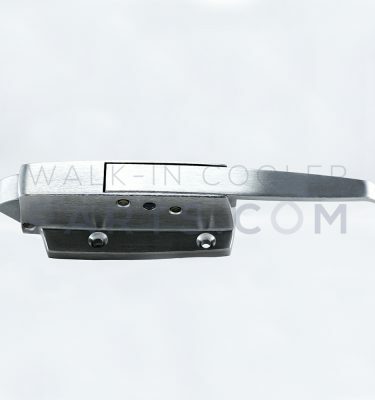 Easy-grip, twist-off inside release handle prevents lock-ins. 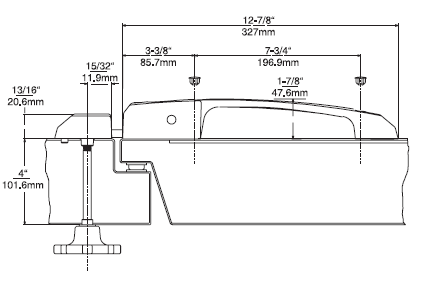 FAST, SIMPLE INSTALLATION – Surface-mounts like a locking pull handle; no complex indoor installation. Fits standard doors without modification. 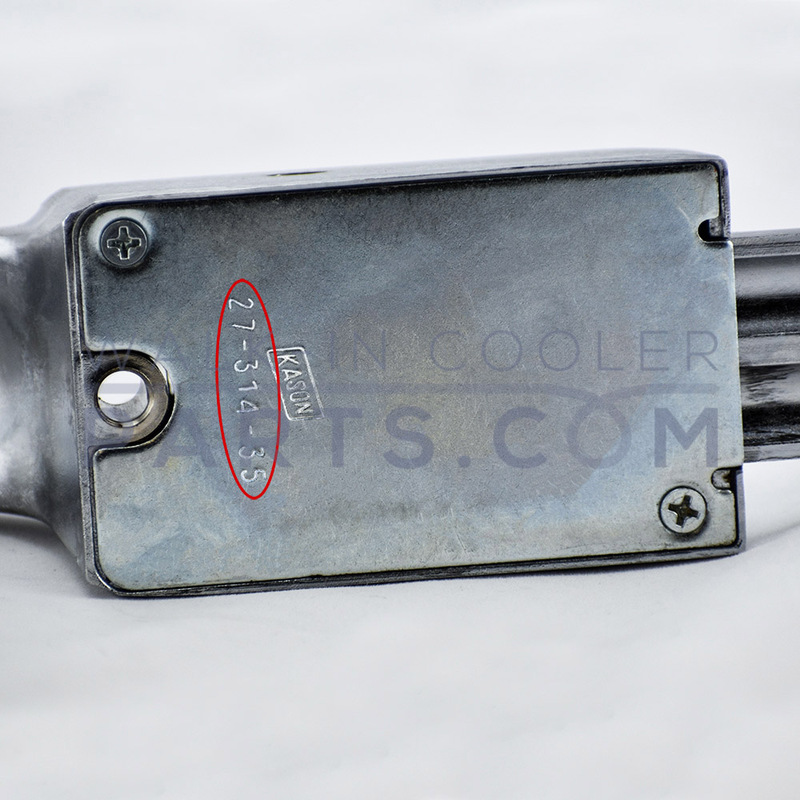 SAVES MAINTENANCE COSTS – Almost nothing to break or wear out assures long service life. 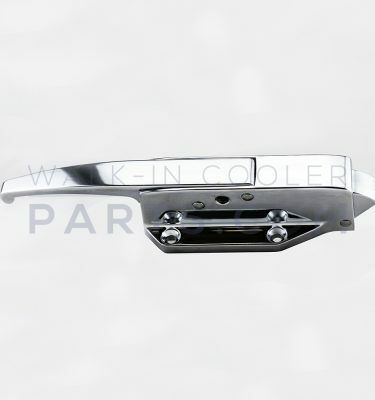 Locking mechanism located entirely on outside of panel and resists freeze-up, even on super low-temp walk-ins. 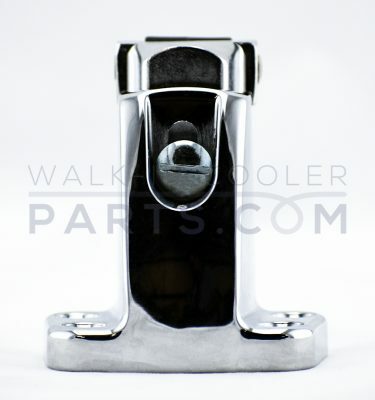 Die-cast Zamak handle housing, tongue and strike. 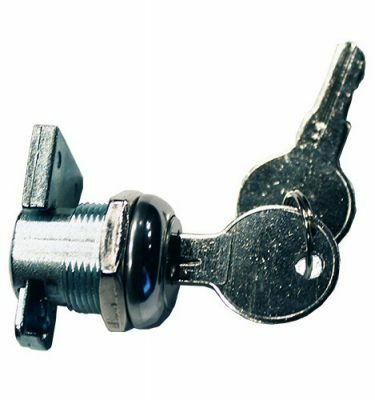 Cylinder lock (may be keyed alike or randomly). Accepts 5/16″ (7.9mm) dia. shank padlock (customer supplied). Drilled and countersunk for 1/4″ (6.4mm) fillister head screws. Die-cast Zamak housing, brass rod, glow-in-the-dark polycarbonate turn-knob.